At Acupuncture Farnham with Sue Kalicinska you are invited to benefit from a wonderful treatment that addresses the whole of your well-being. Acupuncture works with the body’s system of points connected by channels or meridians. This traditional therapy has been used in China for thousands of years,. The meridian pathways relate to our physical and mental well-being which are seen as one whole in Chinese medicine. At Acupuncture Farnham Sue employs traditional pulse and tongue diagnosis to assist in choosing which points are best for you.. Hair fine needles are gently applied to the points to rebalance the meridians. The treatment places you in a very relaxed state and you may even doze off! Sue has been helping people for more than 25 years to address all kinds of health problems, including back and neck pain, sciatica, frozen shoulder, digestive problems and allergies, arthritis, hormonal issues, to name a few. She also works with men and women on fertility problems, with women during pregnancy and with babies and children. Check out our “Acupuncture Benefits” page for more details and modern research references. A complete approach to well-being is offered at Acupuncture Farnham. It’s not only about dealing with a particular symptom or issue; it’s about understanding how to maintain your health, cope with stresses and really get the best out of life. 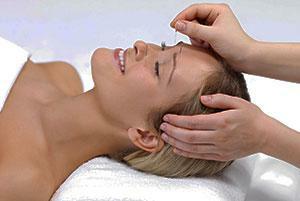 Acupuncture Farnham offers you another amazing aspect of the tradition: the Acupuncture Facial. This gives you the ‘feel good factor’ plus, feeling and looking good. Reducing lines and wrinkles is only part of the benefit: it works on your inner well-being as well as the outer appearance.